Phone and part export turnover reached US$43.83 billion at the end of November, increasing 12.5 percent over the same period in 2017, reported the Ministry of Information and Communications. Electronics, computer and component export turnover hit $25.69 billion, up 14.7 percent. Digital content industry revenue touched $860 million including $770 million export turnover. Software industry revenue approximated $4 billion and information technology (IT) reached $5.2 billion. Of these, software and IT service export brought $3.5 billion and $4.2 billion respectively. 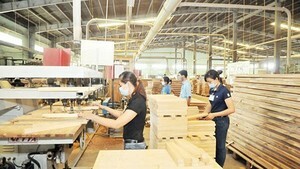 Hardware industry, electronics and telecommunication revenue was estimated to reach $76 billion.